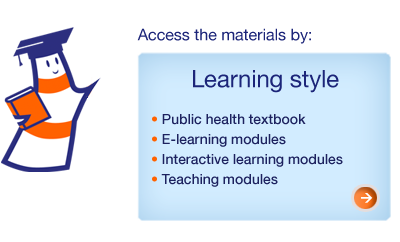 HealthKnowledge is a new online learning resource of value to anyone studying, teaching or working in the community / public health and social care fields. The resource allows you to access a broad range of learning materials for teaching or personal use, with the aim of expanding public health knowledge. The resource includes a section on Finding and Appraising the Evidence which takes you through the process of how to find the evidence and then how to assess the validity and reliability of the published research in order to provide effective and efficient healthcare. Another useful section teaches you Research Methods , focusing on what is appropriate to the practice of public health; including epidemiology, statistical methods, qualitative research methods, etc. The Teaching module cover a variety of different subjects, including undergraduate training and a range of ‘soft skills’ required for an holistic education, such as leadership and management, and working collaboratively. by the Public Health Action Support Team (PHAST): UK 2010. While "the basic purpose of medical schools is to educate physicians to care for the national population. Fulfilling this goal requires an adequate number of primary care physicians, adequate distribution of physicians to underserved areas, and a sufficient number of minority physicians in the workforce." In a new study released in the Annals of Internal Medicine, the researchers took a fresh look at the ranking of American medical schools according to these three criteria, labelling this new metric the 'social mission score'. They summarized their conclusions in this way: "Medical schools vary substantially in their contribution to the social mission of medical education. School rankings based on the social mission score differ from those that use research funding and subjective assessments of school reputation. These findings suggest that initiatives at the medical school level could increase the proportion of physicians who practice primary care, work in underserved areas, and are underrepresented minorities." "A diverse, equitably distributed physician workforce with a strong primary care base is essential to achieve quality health care that is accessible and affordable, regardless of the nature of any future health care reform." The full text article is accessible through your EBSCO login or click on the title. Online access includes a Facebook discussion as well as PowerPoint slides for teaching. (2010). The Social Mission of Medical Education: Ranking the Schools. Annals of Internal Medicine, 152(12), 804-811. Retrieved from Academic Search Premier database. 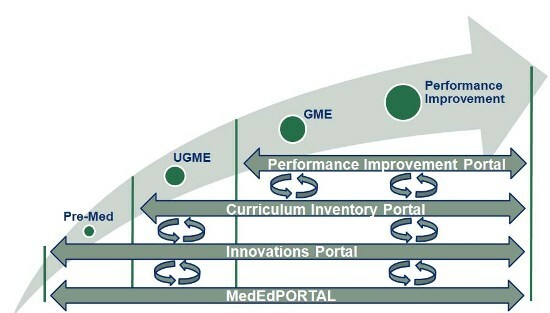 MedEdPORTAL is blossoming into a Suite of Portals! The Association of American Medical Colleges (AAMC) has embarked on a plan to significantly expand the scope of the MedEdPORTAL, by establishing a new and exciting initiative called the Continuum of Learning Initiative (CLI). The CLI aims to unite multiple databases into a single medical education portal "to enhance competence along the health education continuum"; made possible by new content management technologies. "The CLI will link medical education curricula, training innovations, administrative tools, teaching tools, and assessment resources across the entire physician-education continuum (from pre-med to the practicing physician)." The portals will be launched in phases over the next five years, with each portal serving to expand the knowledge base of "academic medicine through a seamless and interactive system, providing a multi-faceted learning experience." Click to read more about these exciting new developments. ChemSpider aggregates and indexes chemical structures into a special repository allowing you to freely search across platforms, in effect providing a 'meta' chemistry search engine with access to all open source material. Many properties and structure identifiers have been added to each of the entries within the database offering a flexible, user-friendly chemical structure search. Optionally available with a mobile-friendly interface. Part of the "American Experience" series, this PBS documentary film narrates personal accounts of polio survivors; interviews historians, scientists, and researchers; and is based in part on David Oshinsky's award-winning book Polio in America. 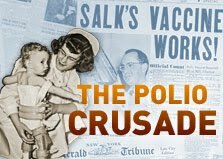 "The story of the polio crusade pays tribute to a time when Americans banded together to conquer a terrible disease. The medical breakthrough saved countless lives and had a pervasive impact on American philanthropy that continues to be felt today." Generation Me : How Will Today's College Students Impact Health Care? A meta-analysis found that narcissism levels among American college students have risen dramatically in recent decades. In 85 samples of students who completed the 40-item forced-choice Narcissistic Personality Inventory (NPI) between 1979 and 2006, the mean narcissism score increased by 30%. The results complement previous findings that other individualistic traits; such as assertiveness, agency, self-esteem, and extraversion, have also been on the rise. Of grave concern to institutions such as our's, who are educating the next generation of nurses and doctors, is what is happening to empathy ! "We found the biggest drop in empathy after the year 2000," said co-author Sara Konrath, a researcher at the University of Michigan Institute for Social Research. "College kids today are about 40 percent lower in empathy than their counterparts of 20 or 30 years ago, as measured by standard tests of this personality trait." Konrath and her colleagues presented their findings this week in Boston at the annual meeting of the Association for Psychological Science.